Fantabulous & Amazing 13,000ft memory! Very fun activity, the staff is very friendly and the security measures are very good! Be sure to try this event! I really loved the skydive because of the relatively long feeling of the fall which is extremely fun. The crew was very professional, they did all the needed security checks but never forgot about keeping the skydive extremely fun. The views from the skydive and from the flight before were amazing and I got to see them only thanks to the guide and the pilot that delayed our skydive in order to wait for the foggy skies to clear. The staff were incredible and made the jump so much easier. Highly recommend! Your message has been sent to GoSkydive New Zealand - 13,000ft Tandem Skydive. You should hear from them shortly. 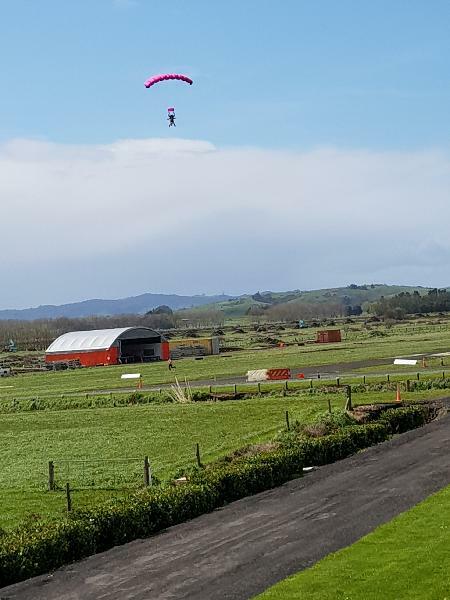 Please note: all responses will come directly from GoSkydive New Zealand - 13,000ft Tandem Skydive, and not the team at Bookme.